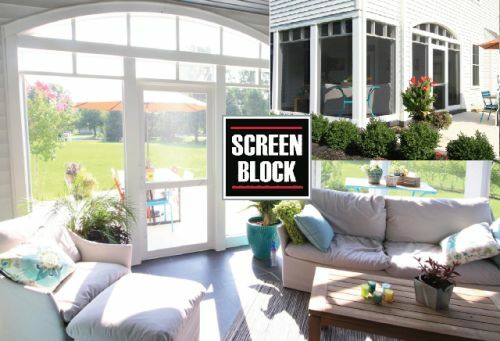 Perfect for Archways - Made from flexible, high-quality cellular PVC, the Screen Block system can be used for complex and curved areas of your porch. 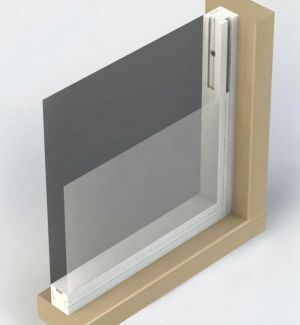 The low profile system fits into framed openings that is easy to cut and trim with no mitering needed. Hidden Fasteners for a Clean Look - Screen Block’s retainer strips hold screen and Winterview plastic film in place and an additional trim piece hides all fasteners in the middle of the track, resulting in a sleek, seamless appearance. Fiberglass Screen on one side Winterizing film on the other. Screen Block 1.5" x 1.5"